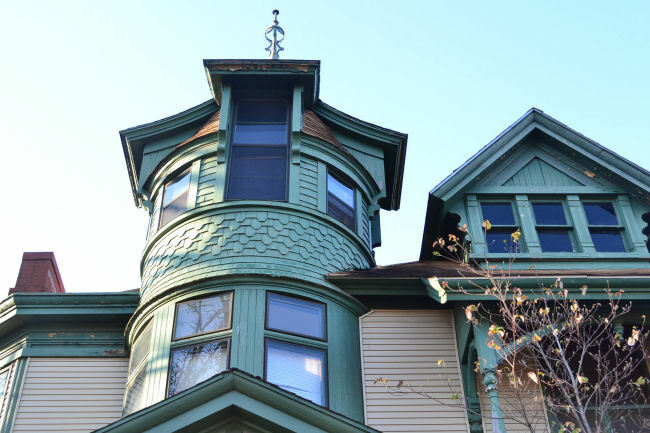 A question we are often asked regarding our salvage projects is, “What all do you salvage from a house?” To answer that question… We will salvage any architectural element from a structure that can be safely removed in good enough condition that we believe can be reused or repurposed. Architectural elements can include any or all of the following: doors and accompanying hardware, door frames with trim, crown molding, wainscoting, fireplace mantels, sinks, tubs, light fixtures, wood flooring, floor joists, baseboards, wood walls, wood beams, newel posts, stairways and railings, decorative wood trim, decorative tile, ceiling medallions, porch posts and columns, windows, garden gates, iron fencing and at times brick and stone. Quite often, before we can begin a new salvage project, the first thing we do is remove items from the house that have been left behind. 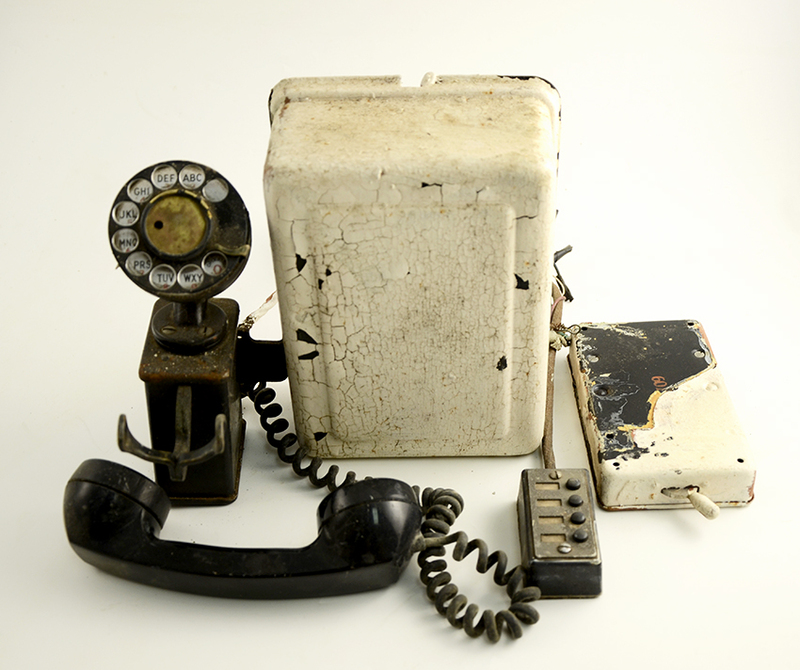 Most often these are small items or furniture that have been stored away in the attic. Once these items have been removed, the real work begins. When salvaging a house, we basically “deconstruct” it. 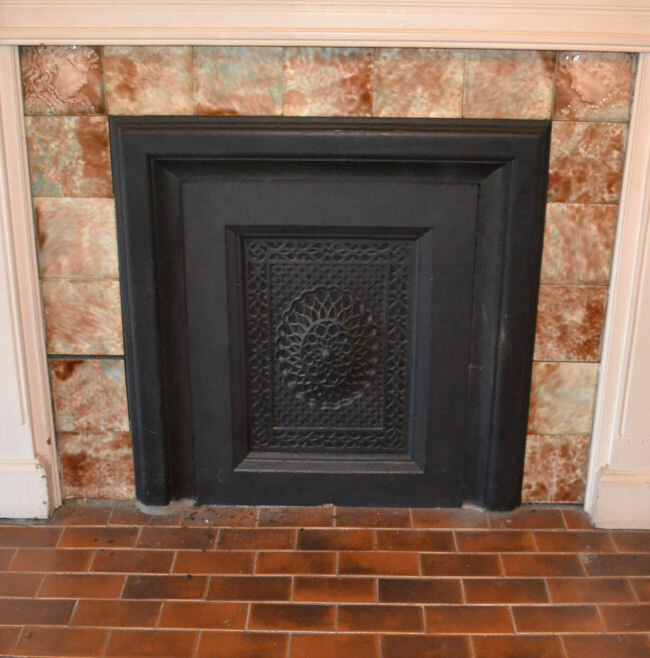 The first elements that we remove are typically the last elements that were installed in the house such as interior doors, mantels, bath and light fixtures. Once these items are removed, we then begin pulling the wood. We start at the top of multi level structures and work our way down. 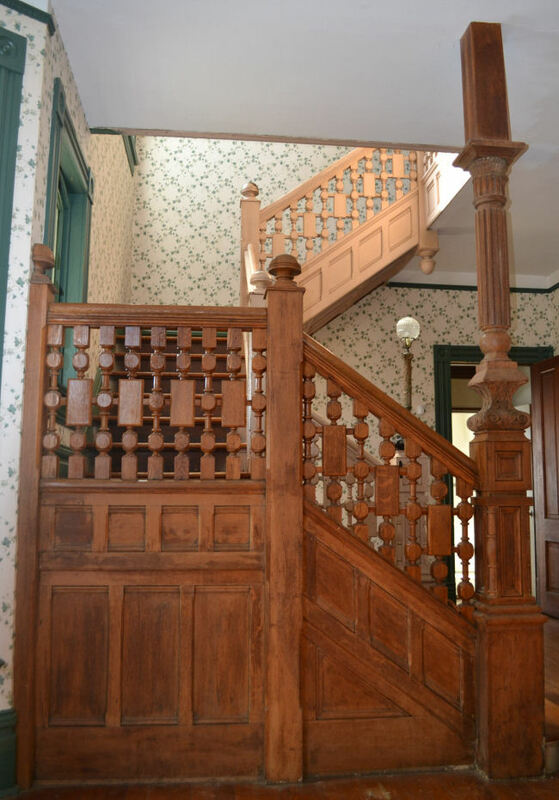 The last items taken are structural elements such as wood beams, columns, and posts. Most often the property owner will schedule a demolition company to come in right behind us. If we are salvaging brick or stone from the structure, we will often coordinate those efforts with the demolition crew. We are typically given a set amount of time to save what we can. At times we may only have a single day! Several years ago we were given the opportunity to salvage wood from a house that was scheduled for demolition. We worked hard for a full day pulling as much wood as we could. We arrived on day two to continue our efforts only to discover that the fire department had already set the structure ablaze! Once we begin a new project we work as efficiently as possible to ensure that we are able to save as many elements as possible. 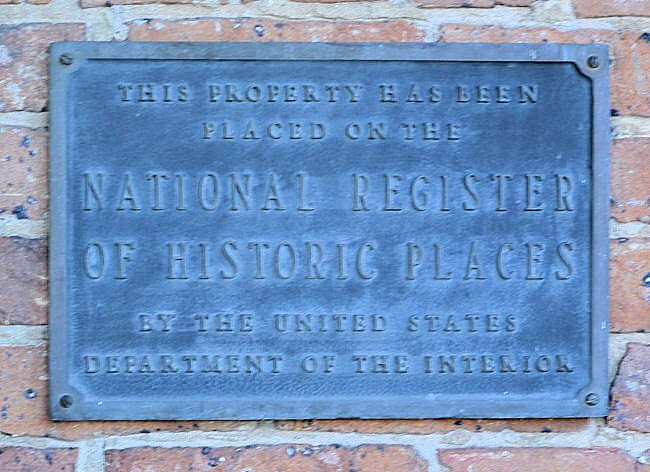 We believe our work here at Southern Accents is truly preserving our history through salvage. 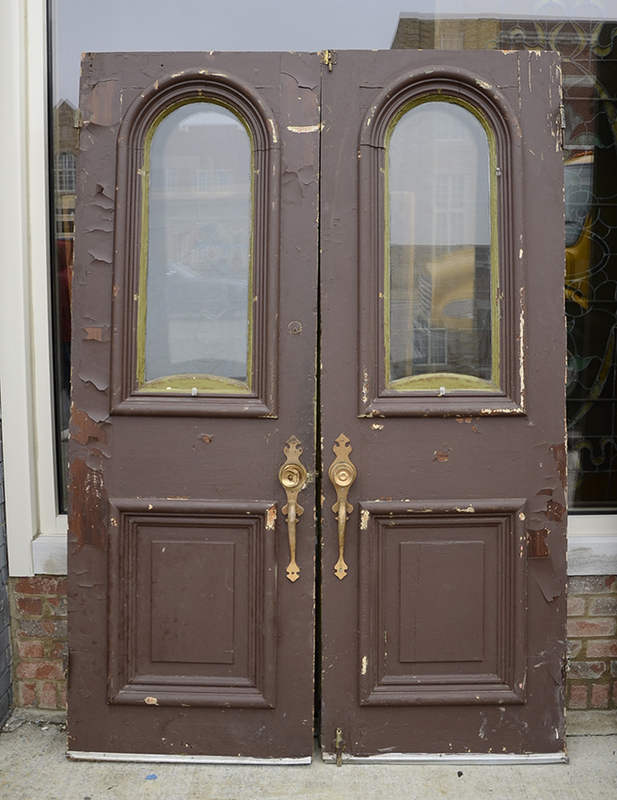 We’ve recently added items to our New Arrivals page that were saved during phase I of our latest salvage project. In the coming days, we will be returning for phase II. Make sure you are following along with us on our social media accounts as we continue what will be our largest salvage project to date! Here are a few of our latest finds! 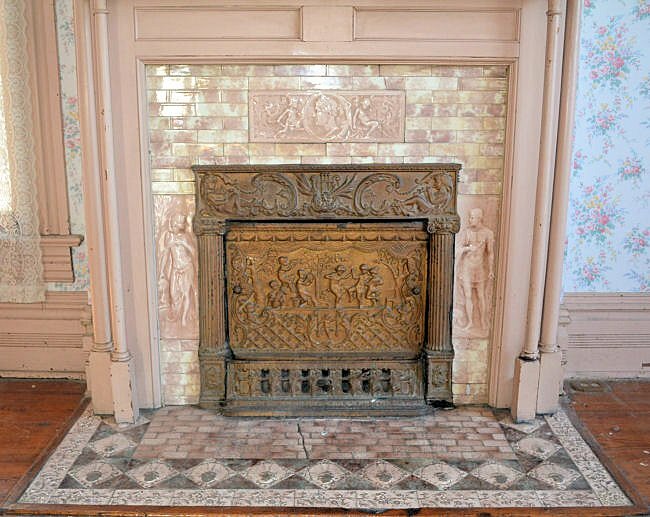 Southern Accents latest salvage mission took us to Greenville, Alabama to this fantastic 1890’s house. The house, which has been vacant for a few years, featured some of the very best craftsmanship that we have seen to date. Amongst the dust, chippy paint, and attic full of bats, were splendid columns topped with spectacular plaster ionic capitals, tiled fireplaces with white oak and mahogany mantels, cast iron surrounds, large solid wood doors and diamond paned windows just waiting to be rescued! And the wood… from the sky blue bead board on the porch ceiling to the magnificent heart pine flooring, the wood that lay in this house was simply amazing! 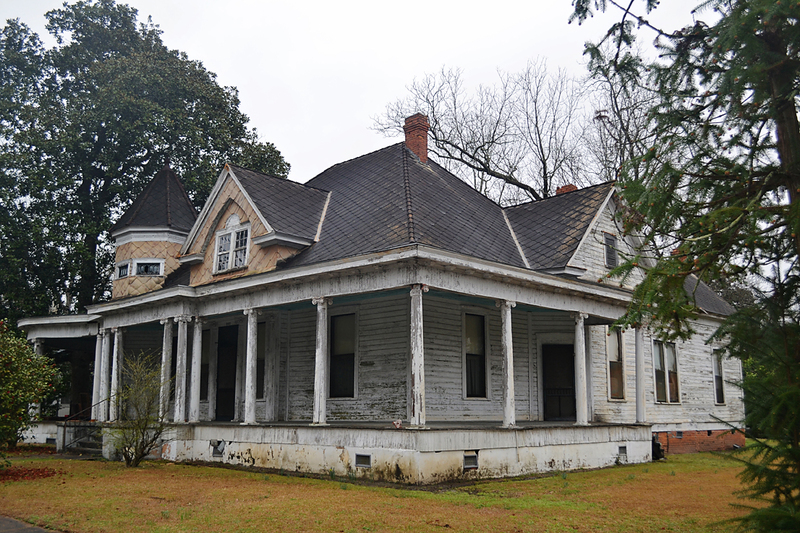 The 1890’s house in Greenville, Alabama contained some of the finest workmanship that we’ve ever seen. Every salvage mission that we embark on is different from the one before. Old houses especially seem to speak to us, each one in it’s own unique voice, as if it has a story to tell. Upon entering this house, each of our team members felt a sense of peace. This particular house gave off a “happy” vibe. While salvaging the property, we had the opportunity to visit with two sisters who grew up in the house. As they walked with us through each room, they fondly shared with us some of their memories. They remembered moving in to the house as young children. Their parents had reached an agreement with the owner, an elderly widower who needed someone to assist in taking care of him. The couple and their four young daughters lived in the three bedroom one bath house and, in return, they cared for the owner until his death. Not having any family to leave the house to, the owner sold the property to the family for $10 before his passing. 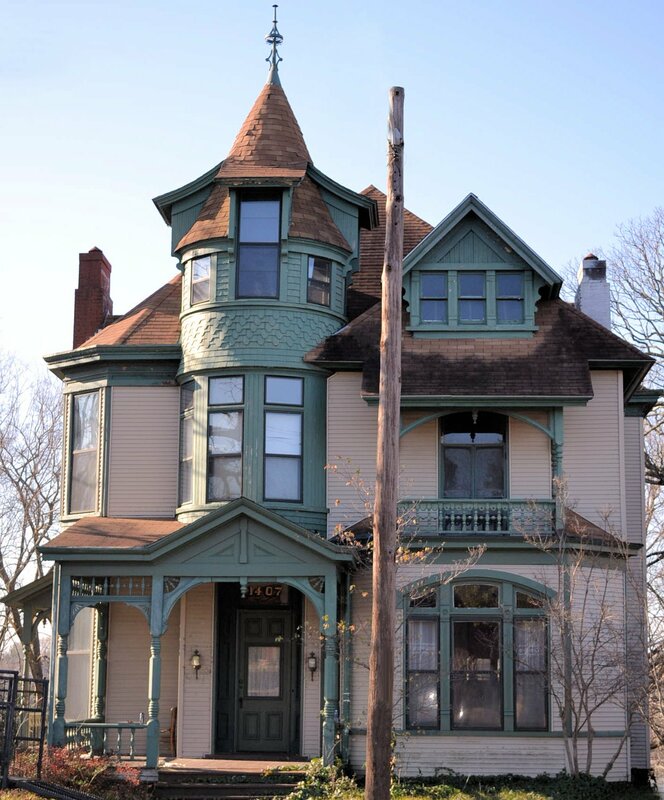 This beautiful house is one that we would have loved to see restored. 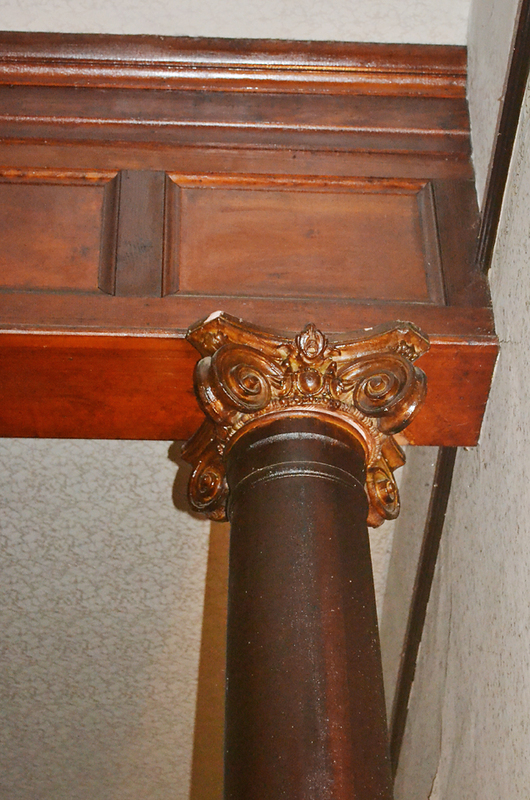 Southern Accents mission is to rescue, restore, and repurpose architectural elements of historical significance. It is never our goal to destroy a property. We only come on the scene once a building has been scheduled for demolition by the property owner. 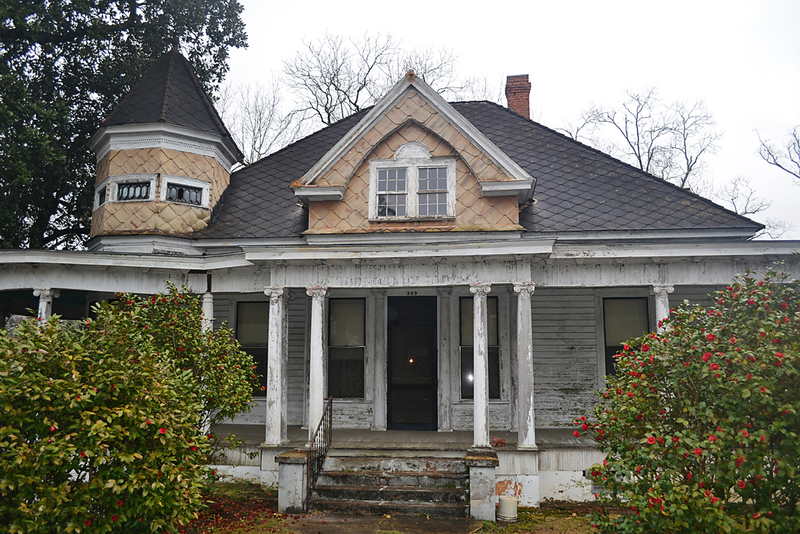 This house is one that we would love to have seen restored. 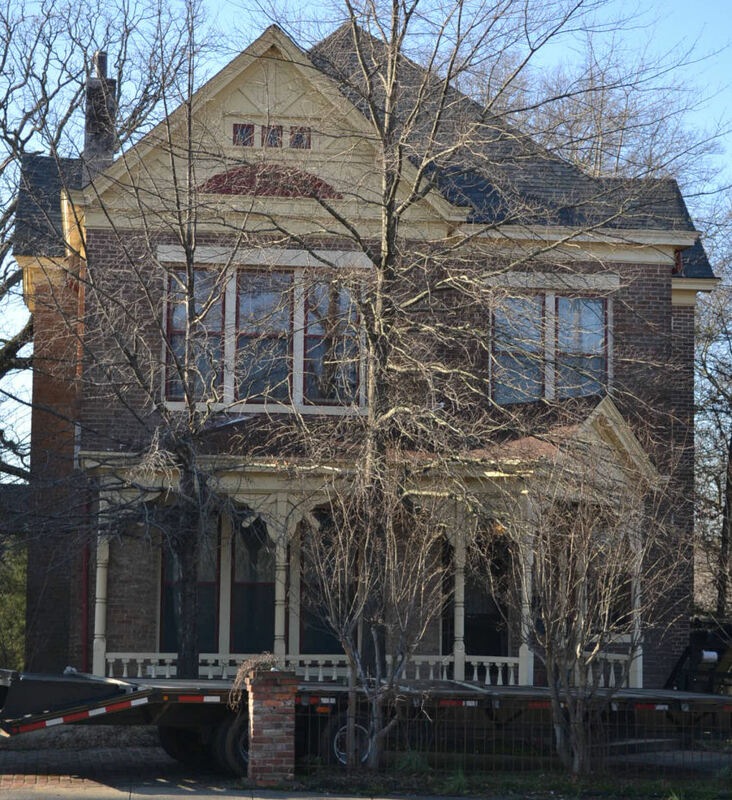 We are, however, thankful to have been given the opportunity to salvage all the beautiful architectural elements from this house before it was taken down. In our continued preservation efforts, we are documenting this salvage mission. 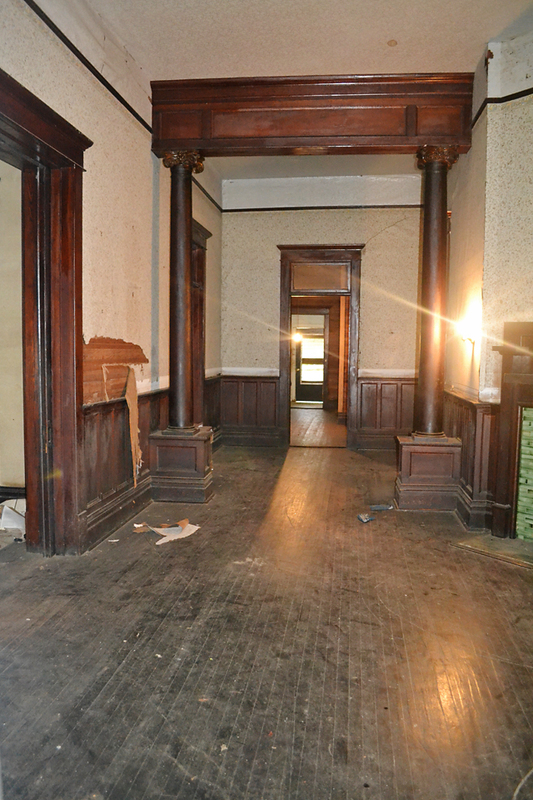 We pictured this property before beginning any salvage efforts. We also had our in-house architect take measurements, draw blueprints and are currently researching for more history and information on the property. We will be taking all of this information and publishing it on our website and blog as well as keeping a printed copy in our showroom. 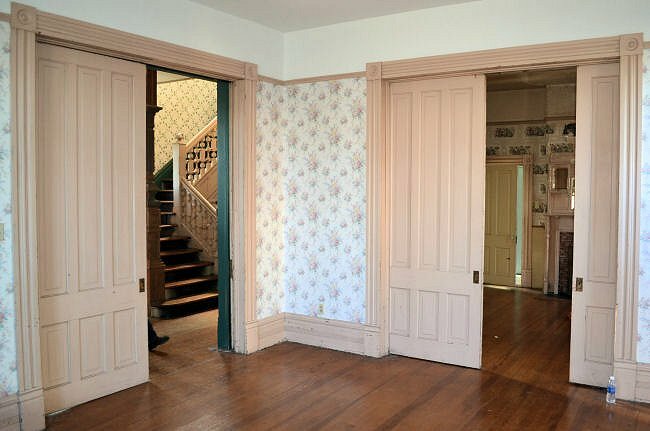 This is our way of ensuring that information on this magnificent house is available for future generations to enjoy, just as the items salvaged from this house will be enjoyed for many years by their new owners. The heart pine wood flooring throughout this house was gorgeous. 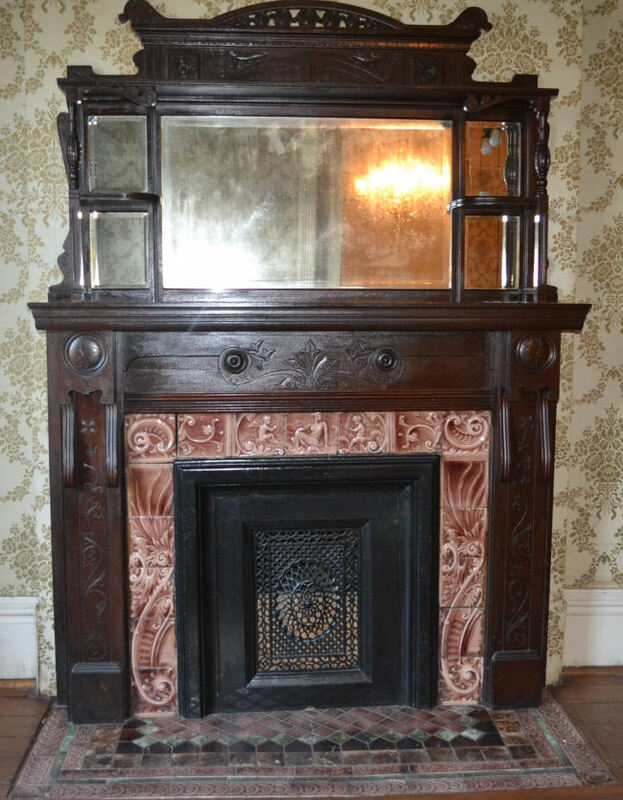 Please visit our New Arrivals page to view many of the remaining items salvaged from this house. 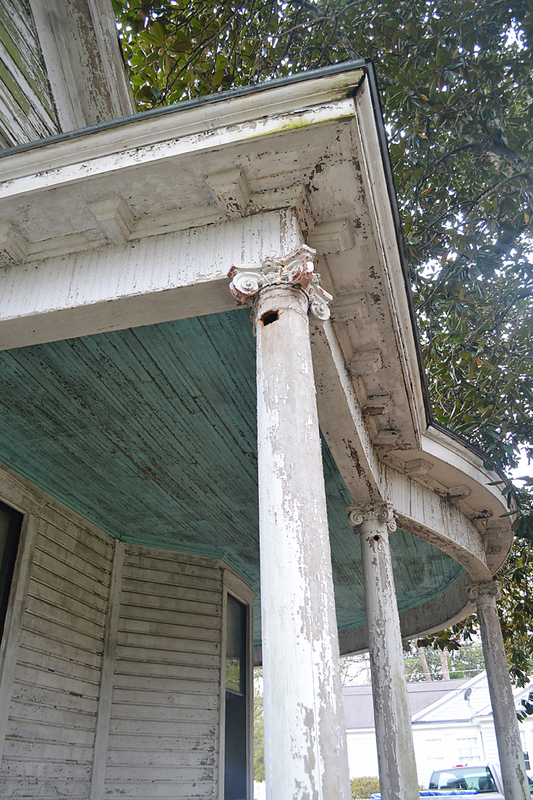 The wrap around porch showcased more columns topped with plaster ionic capitals and a gorgeous sky blue painted porch ceiling. 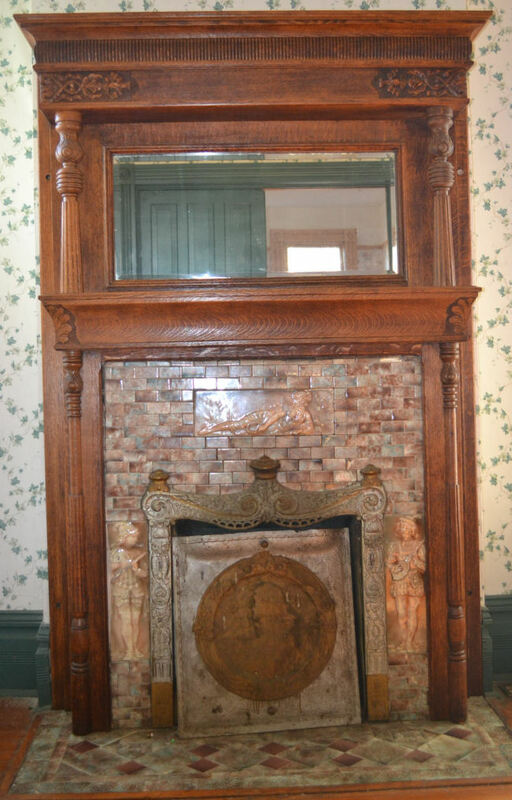 This spectacular white oak mantel was one of five that we salvaged from the Greenville house. 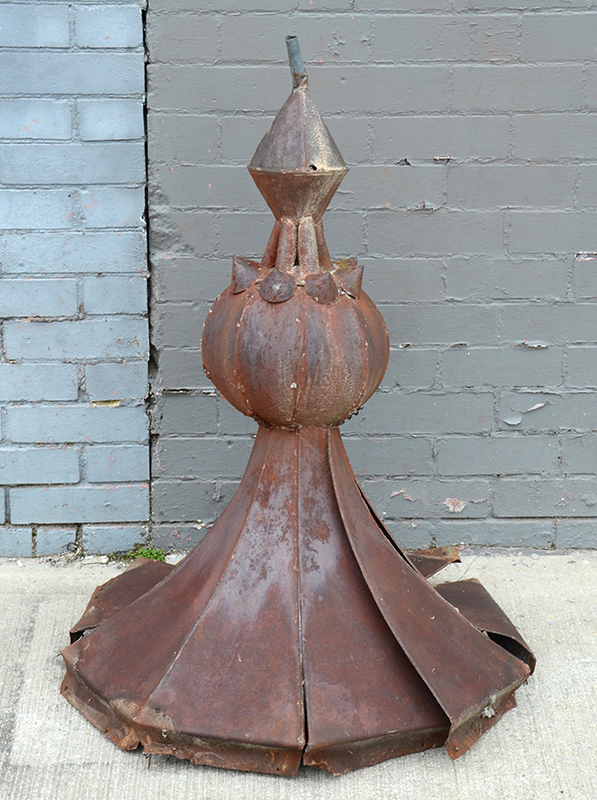 Tin spire salvaged from the top of the Greenville house. Frosty, Philly, & Fortuitous Finds! The second week of February was a very interesting week for Southern Accents! The prior week Garlan traveled north to Philadelphia on a buying trip… apparently a truckload of beautiful Architectural Antiques was not the only thing he brought home! North Alabama was turned in to a winter wonderland last week as we experienced two rounds of winter precipitation… a sight we very rarely see down south. While the beautiful white powder kept most of us at home for several days, we stayed busy posting all of the fantastic new finds from Philly to our New Arrivals page. If you haven’t visited our website lately, here’s a peek at just a few of our latest additions! View all of the items shown above and many, many more by visiting our Website or our showroom in Cullman, Alabama. 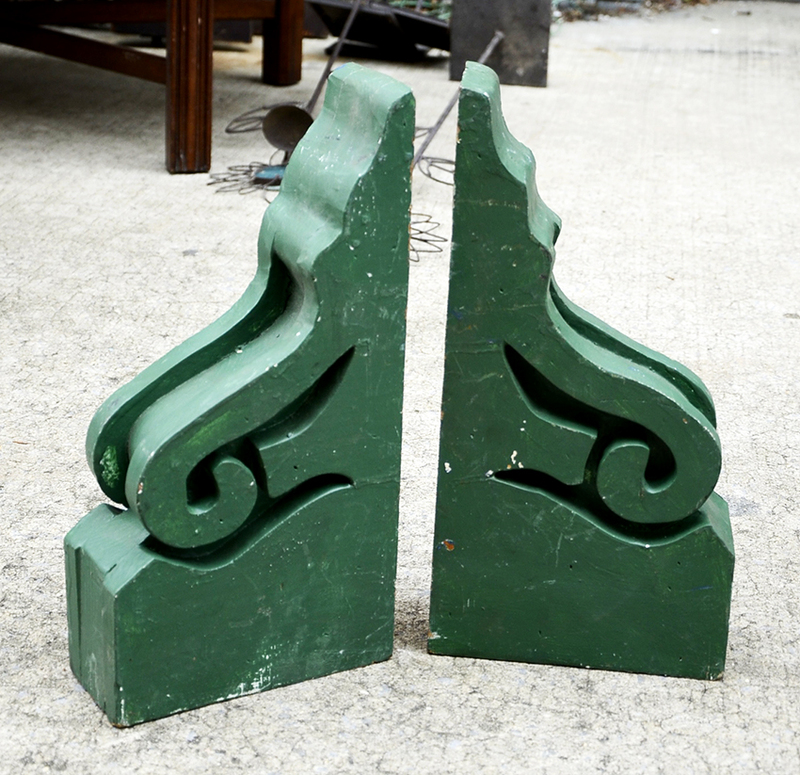 Give us a call at 877 737-0554 to inquire on these and other unique architectural antiques and salvaged finds! 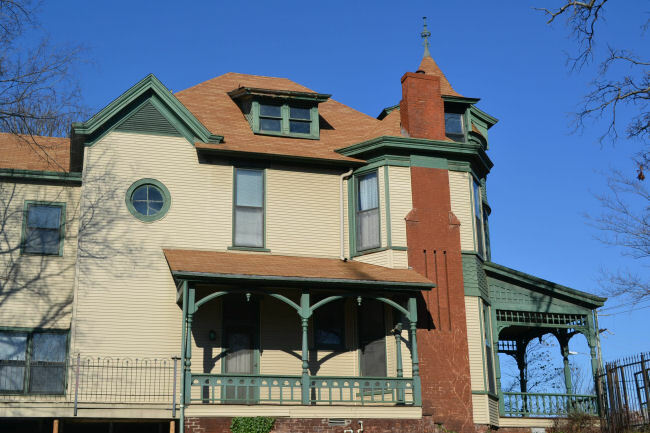 When we were first contacted regarding our interest in salvaging the two 1890 houses in Little Rock, Arkansas that were scheduled for demolition, we marveled at the pictures sent to us. The exterior pictures would have been enough to catch our eye. The interior pictures are what produced a jaw dropping reaction among our team. The pictures revealed some of the most beautiful architectural pieces we have seen in our 54 years of business. 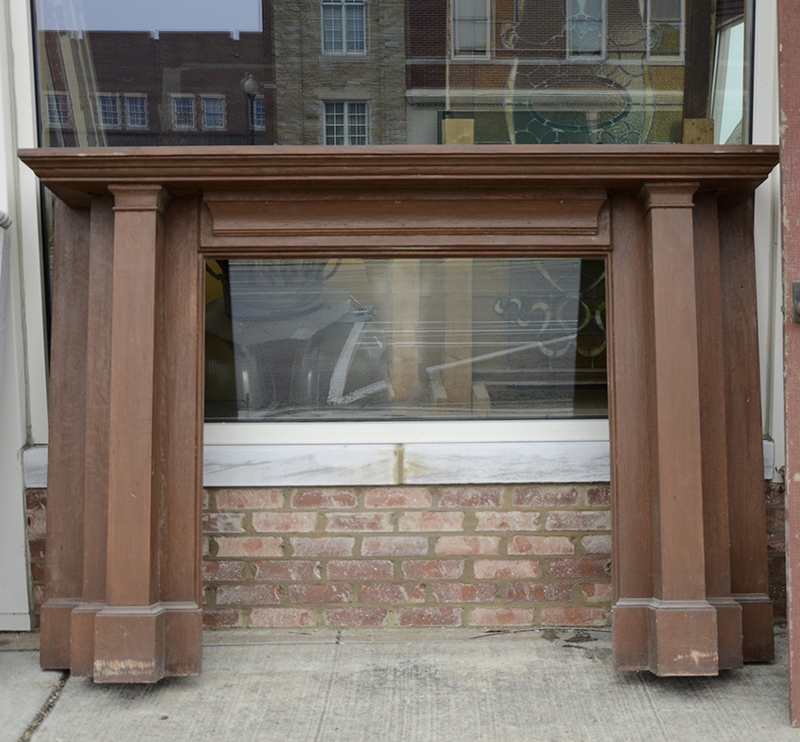 The pictures that garnered the strongest reaction from us were the mantels… all seven of them! 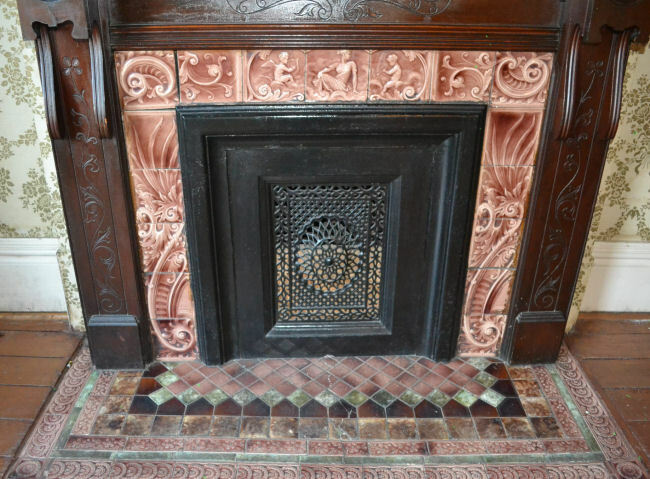 Beautiful, majestic, carved mantels, each one framing elegant tile sets. 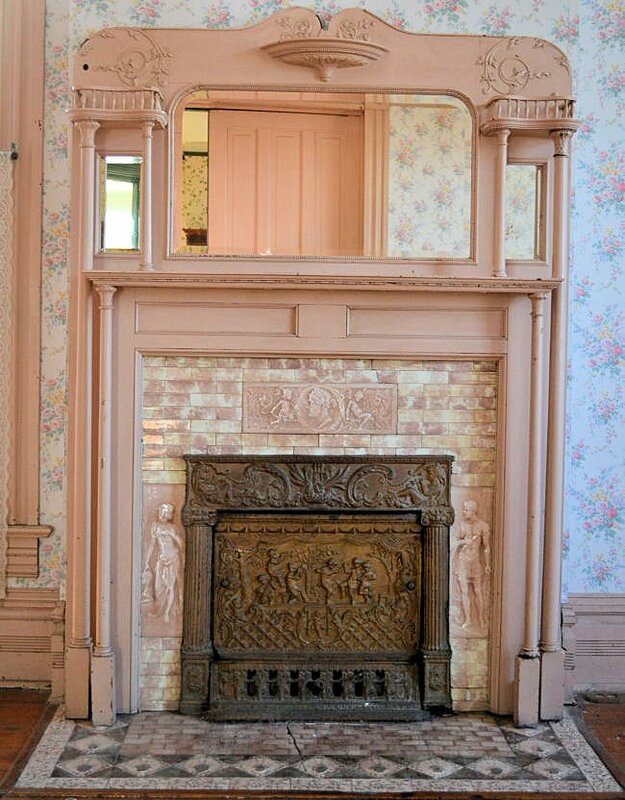 Several of the mantels were purchased on location, so we only returned to Cullman with four, one of which was a painted mantel. Being painted, the wood grain was covered. We weren’t expecting to find a surprise ‘behind the paint’. 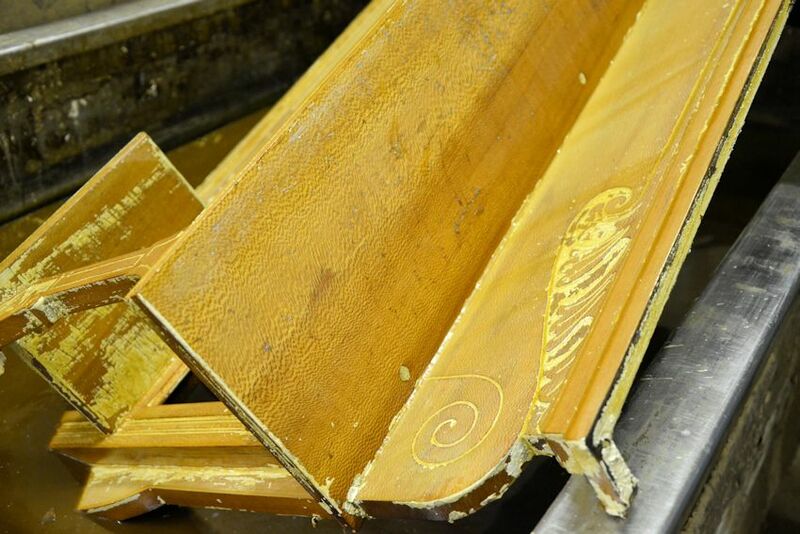 We immediately sent the mantel to our wood shop to have the paint stripped off and to our surprise and great delight we discovered that underneath all the old paint was an exquisite mantel made of birdseye maple. 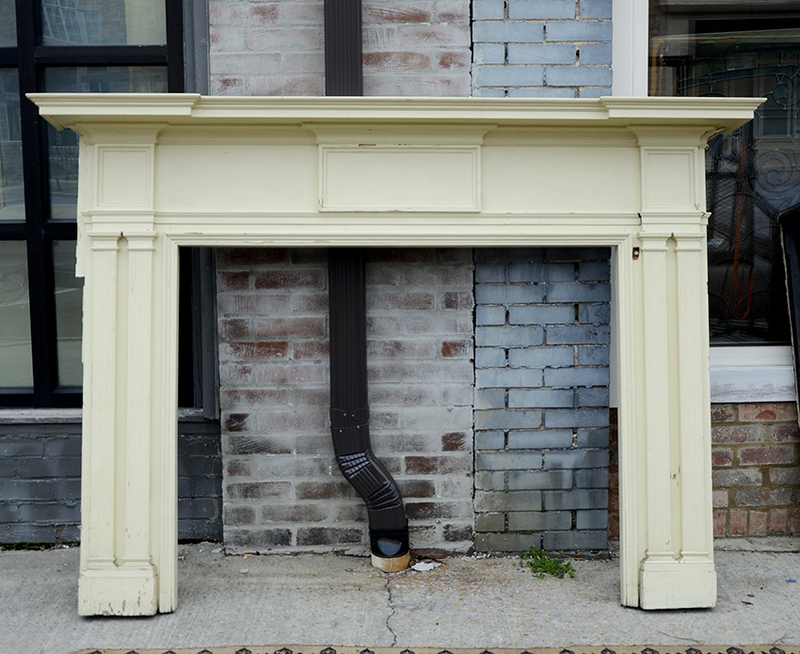 This mantel quickly moved to the top of our favorite item list! Birdseye mantel in the strip tank. We only see an artifact made from birdseye maple about once a year. It is a rare wood not commonly seen in antique items except in high quality pieces. Back when all furniture was made by hand, birdseye maple was only used by the most skilled artisans. It was a rather difficult wood to work with. The fine threads of the wood would easily catch and tear the grain. Because of this, items made from birdseye were extremely labor intensive. Many sawmills when faced with a run of birdseye would cut and use it as firewood! Today modern tools are available that make working with this stunning wood much easier. The mantel top in the strip tank. 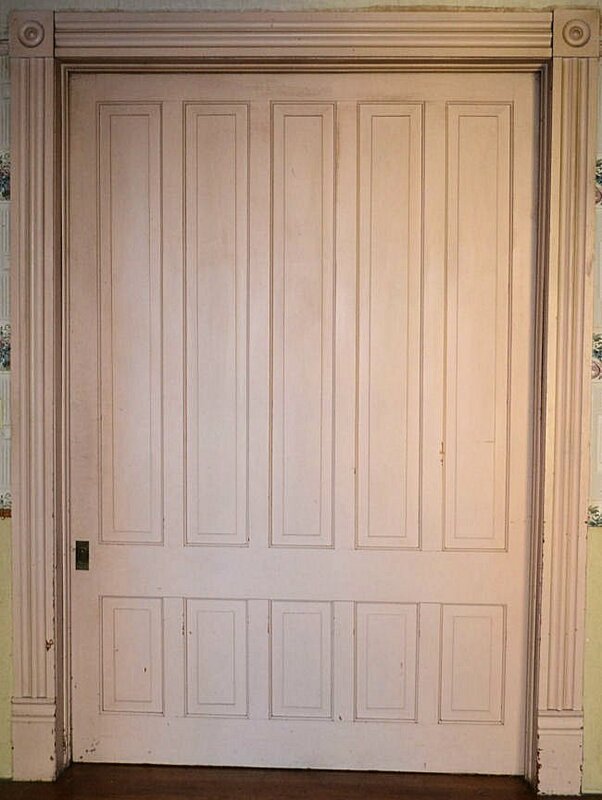 The natural beauty of the wood showing as the old paint dissolves. No one really knows for sure how or why this pattern occurs in the wood grain. It is found in several species of wood but is most commonly seen in hard maple. The very distinctive pattern resembles tiny, swirling eyes that disrupt the smooth lines of the grain, somewhat reminiscent of a burl but not quite the same. Could the cause of this phenomenon be some tiny pecking birds deforming the wood grain or possibly an infectious fungus or insect? Perhaps it is the result of a genetic mutation. The exact cause is irrelevant. One doesn’t need to understand the reason to appreciate the sheer beauty of this magnificent wood! The stripping process on this mantel is complete. It is now awaiting it’s final cleaning. 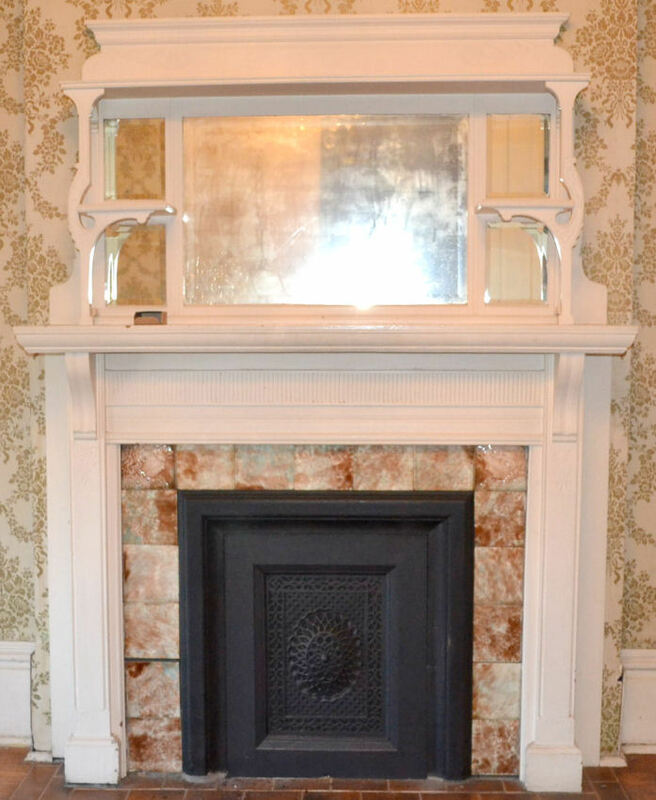 The original beveled glass mirrors will be reinstalled and the mantel will take it’s place in our showroom. 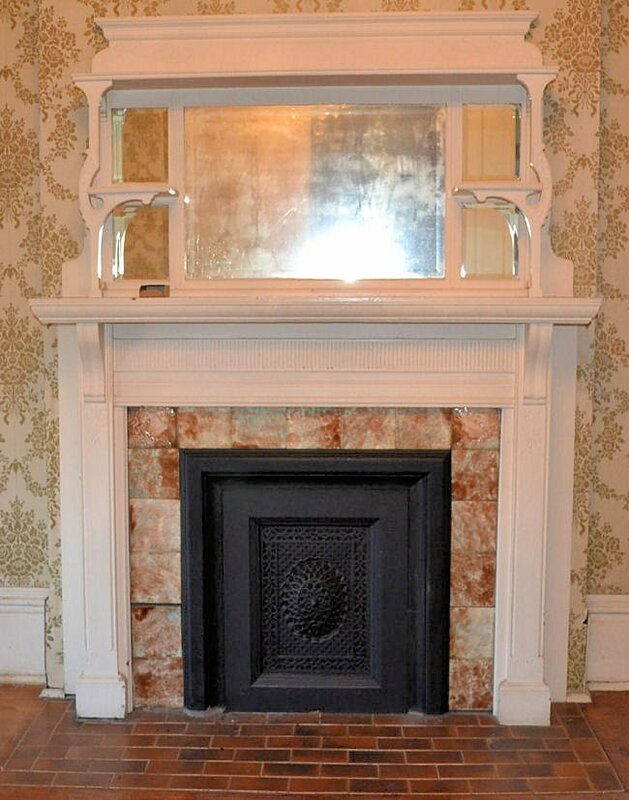 This birdseye mantel is currently for sale and can be viewed online by Clicking Here. We can’t wait to discover who the lucky new owner will be, but when the time comes this is one of those rare pieces that we will be sad to see leave our showroom. 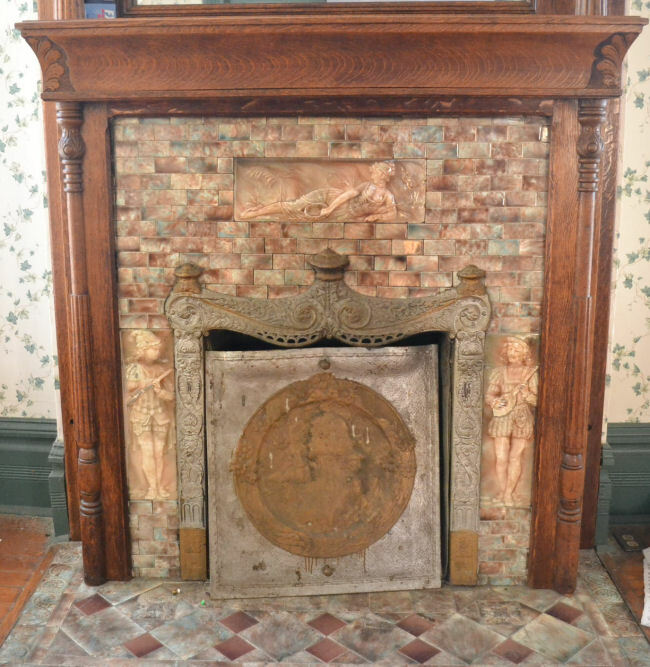 Birdseye mantel before it was removed from the 1890 Bruner house in Little Rock, Arkansas. 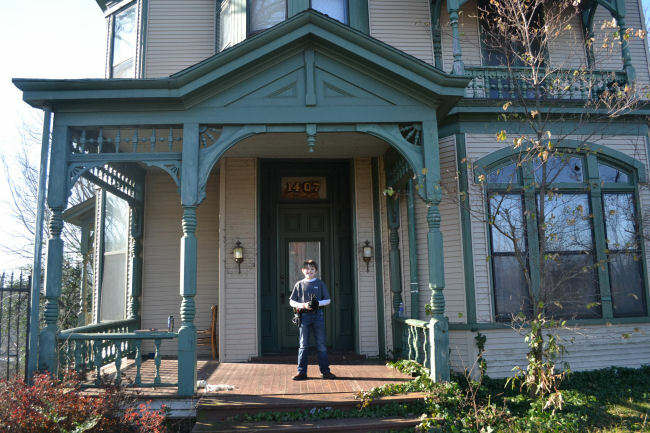 Salvaging historical artifacts from these two 1890 Victorian houses in Arkansas has been an exciting challenge. 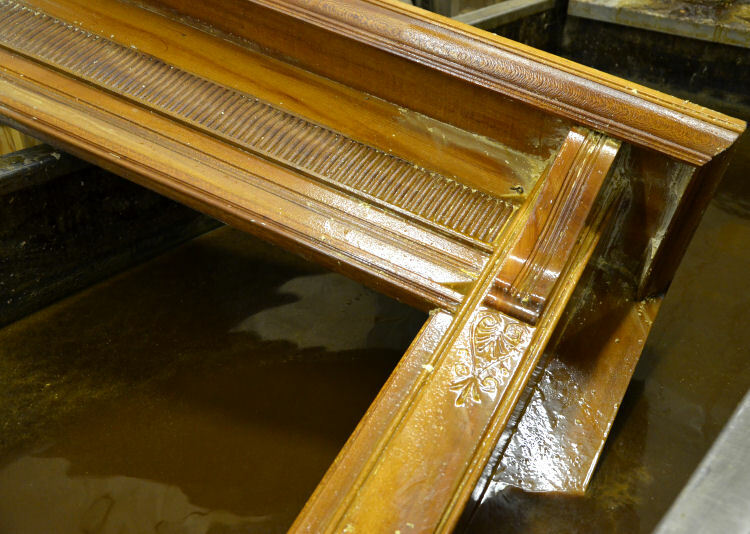 The architectural pieces that we are rescuing are true works of art. These photos were taken upon our arrival in Arkansas. Please enjoy. We love to see our architectural antique pieces featured in magazines. 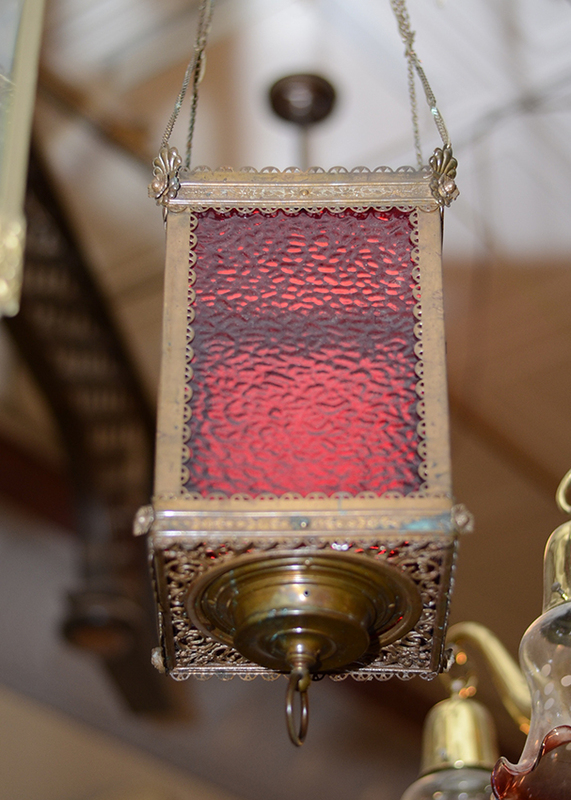 Sitting in our showroom, we can visualize the potential beauty of every antique piece that we acquire. It is something extra special to see one of our pieces fully restored and all dressed up for a special photo shoot! Currently there is a mantel that was purchased from our showroom that is enjoying a feature in two magazines; the Winter 2013 issue of Freshstyle magazine as well as the January/February 2013 issue of Southern Lady Magazine. 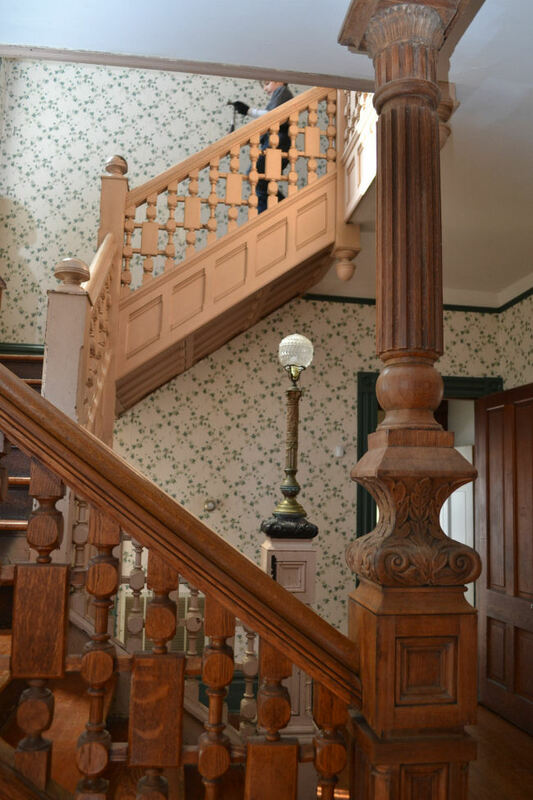 Both magazines feature this beautiful mantel in a Colonial setting. 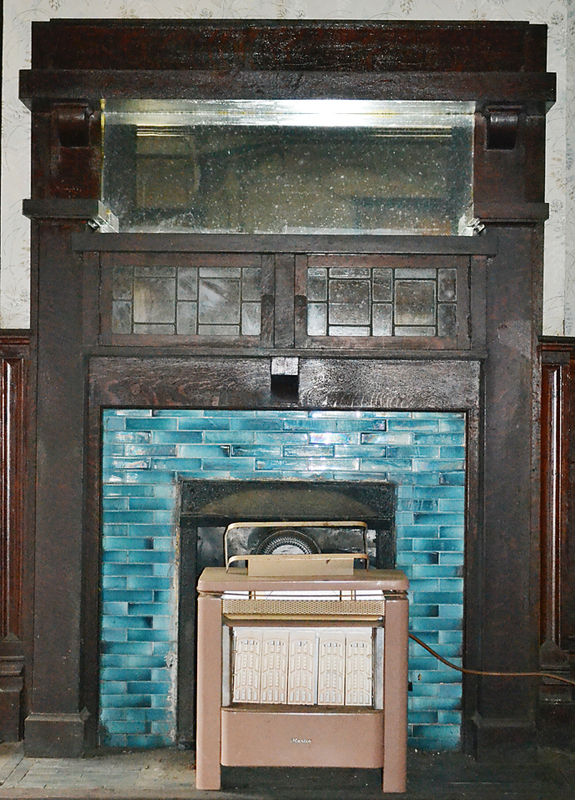 A wash of bookcase paint mixed with water was applied to a blue base coat to give the mantel an aged patina. Another beautiful mantel purchased from Southern Accents can be seen in the “Creative Ways with Holiday Fireplaces” feature in the November/December 2012 issue of Southern Lady Magazine. 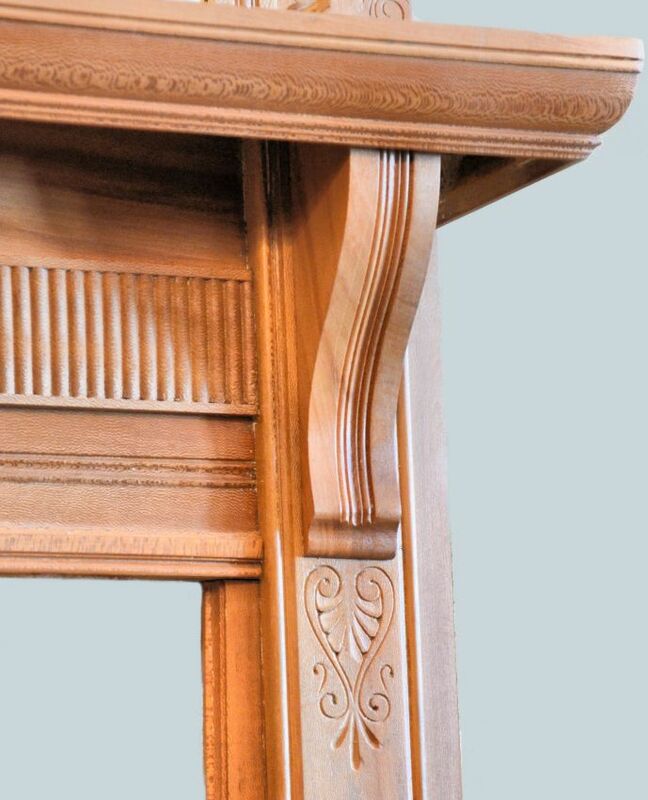 This stained mantel which features side columns, hand carved detailing and a beveled mirror can be found on page 49. If you are looking for the perfect mantel to dress up your fireplace we have a showroom and warehouse full of potential candidates! Many are completely restored while others just need a little tender loving care. 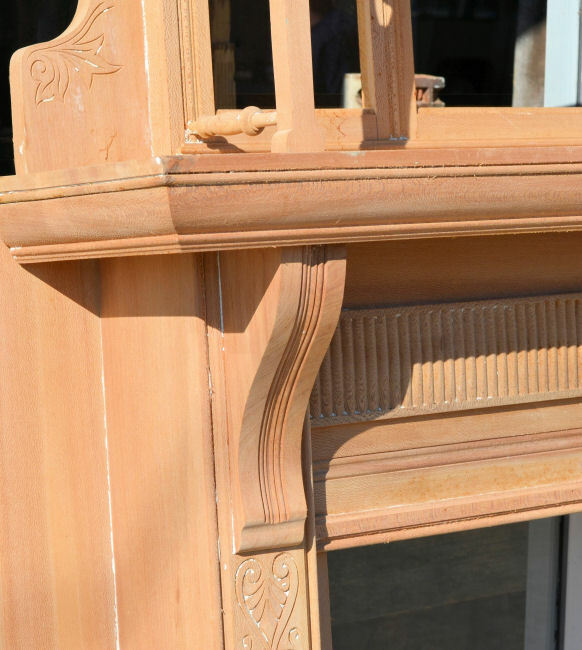 You’ll find a large variety of sizes and styles in both full and half mantels. Give us a call or visit our showroom in person or online at www.sa1969.com.